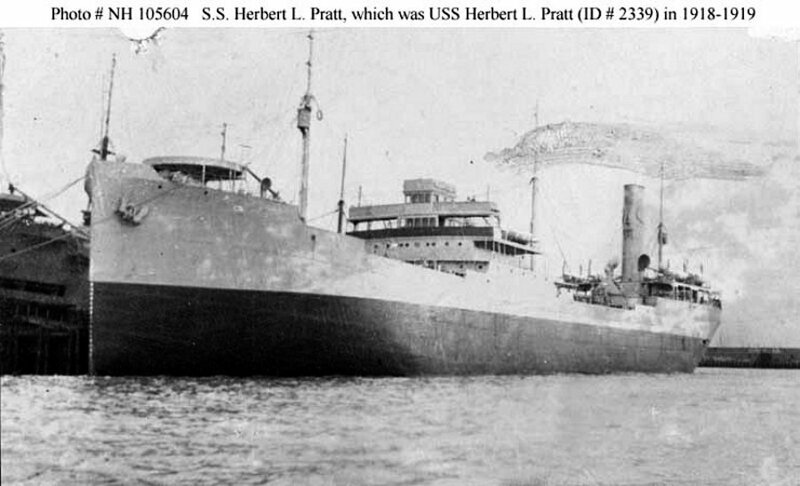 1946 and sold for scrap in December 1946. 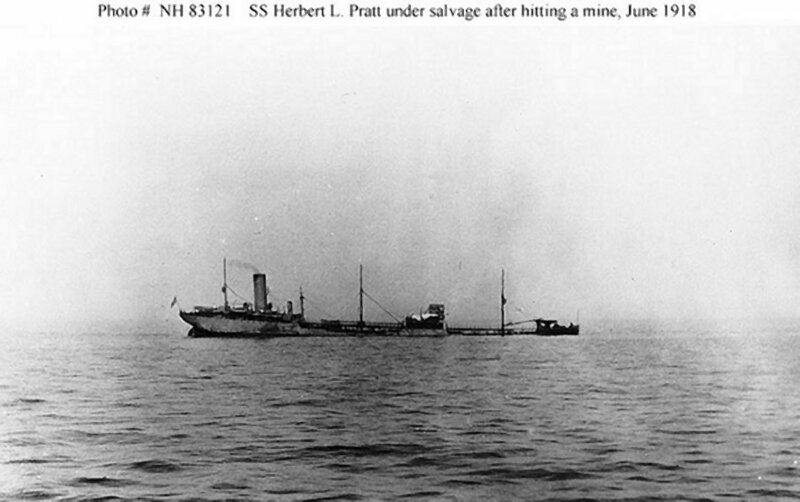 Propulsion: Three Union Iron Works boilers, one 2,600bhp Curtis steam turbine with reduction gear, one shaft. 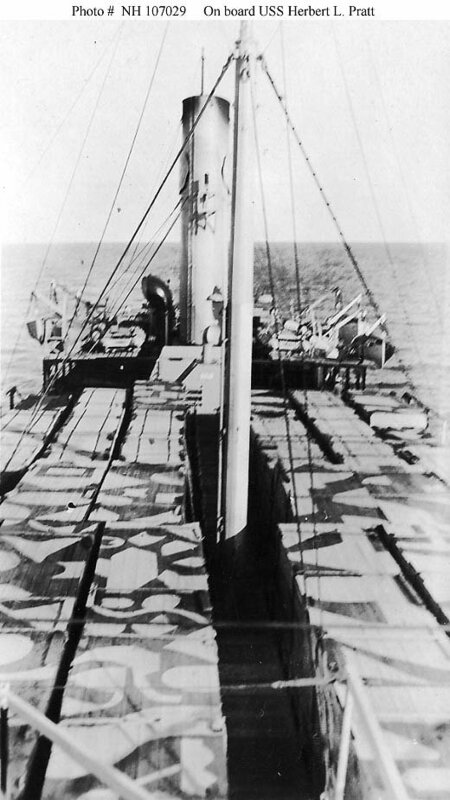 110k Sporting the elaborate stack markings of her owner. 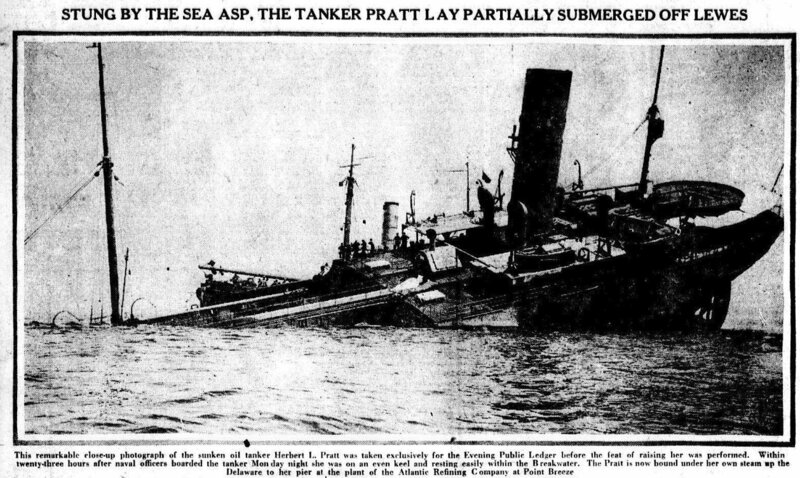 The circle on the stack had the word "OILS" in the middle surrounded by the name "Atlantic Refining Co.
388k Photo from the 5 June 1918 edition of the Philadelphia, PA Evening Public Ledger, the headline being "Stung by the Sea Asp"
Dictionary of American Naval Fighting Ships: Herbert L. Pratt was acquired from the Atlantic Refining Co. and commissioned at Philadelphia 10 June 1918, Lt. Comdr. 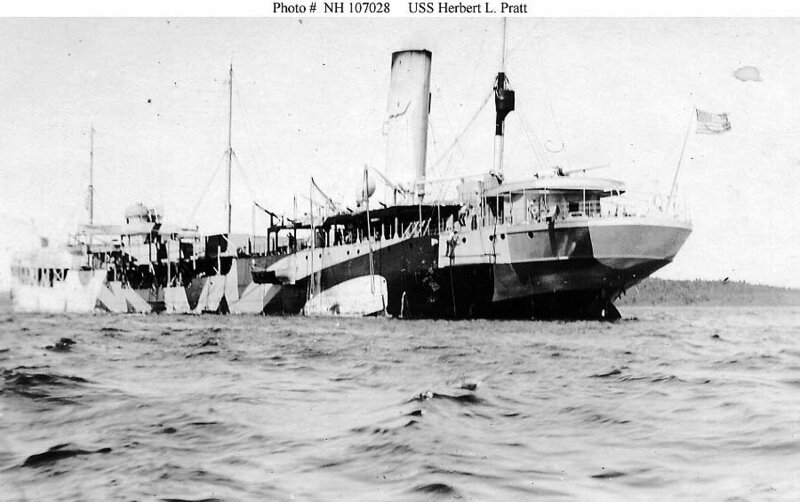 A. H. Peterson in command. 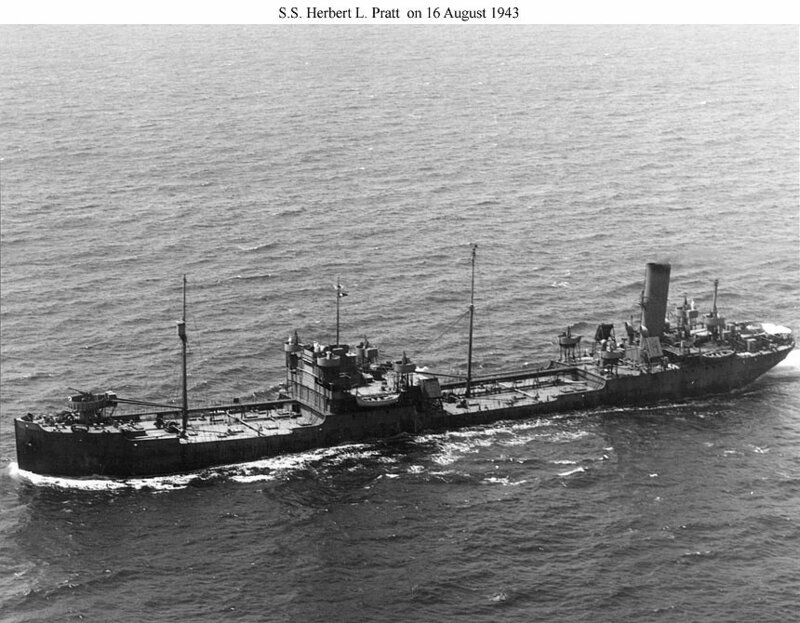 Taking on a full cargo of fuel oil, she sailed for France on 30 July, arriving in Brest on 2 September via New York and Halifax. 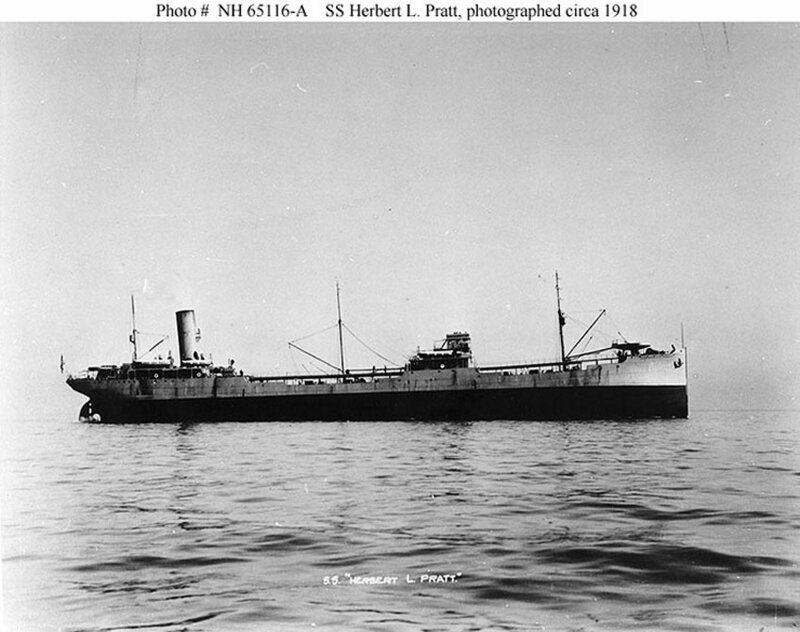 At Brest she discharged her cargo to American destroyers and other ships, returning to New York 28 September. 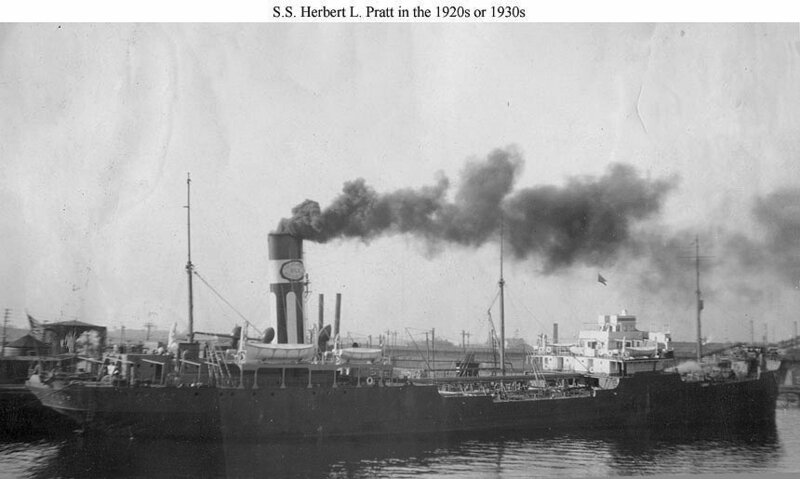 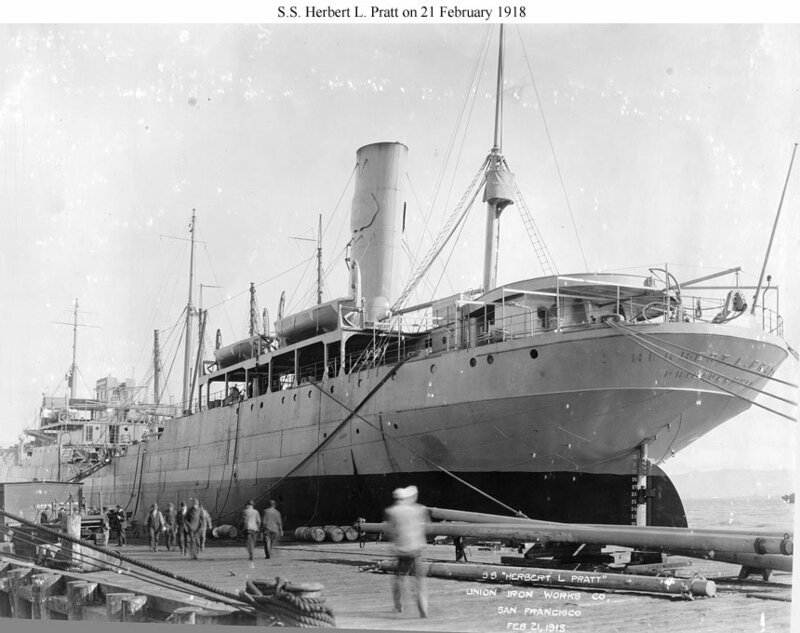 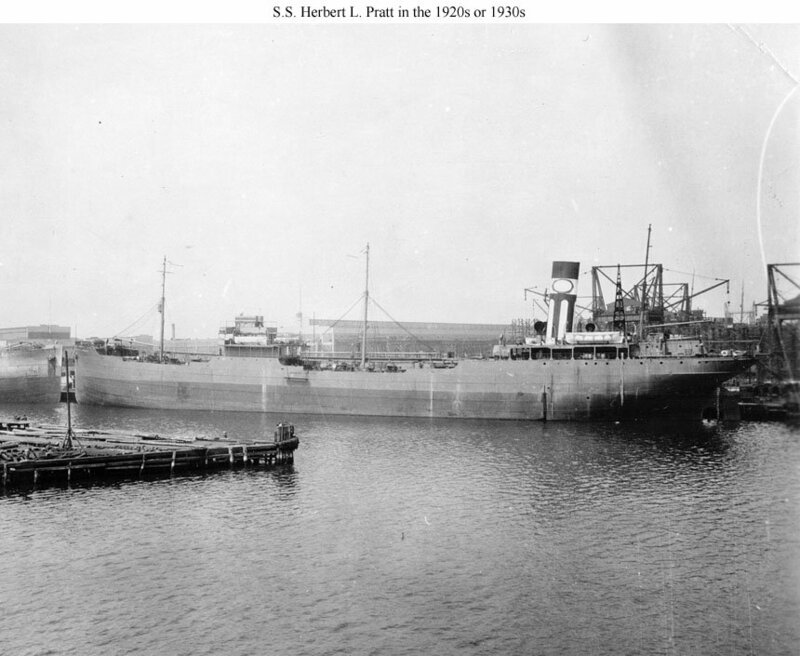 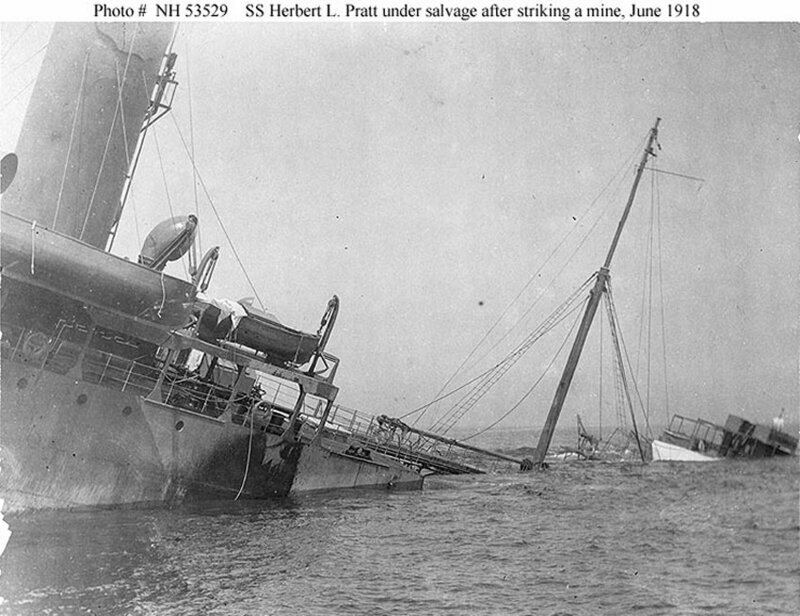 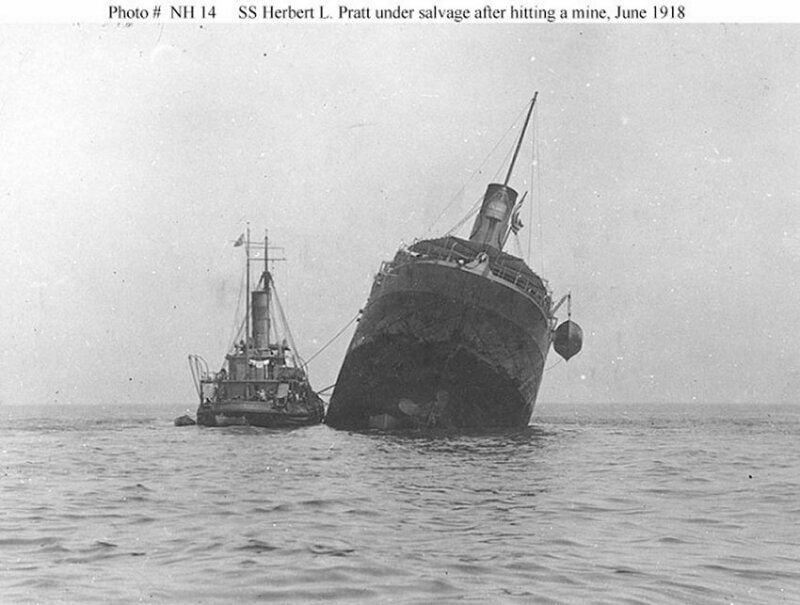 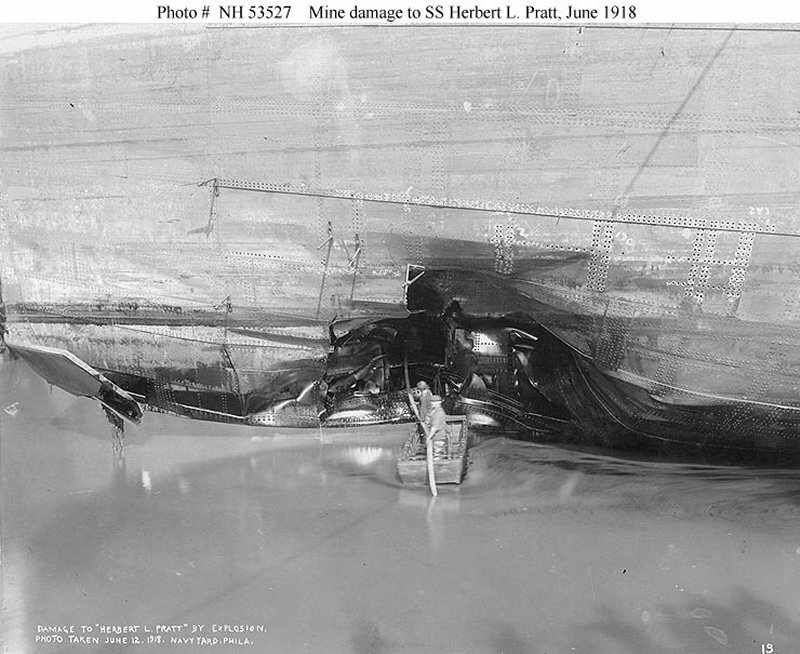 A second transatlantic voyage, from New York to Plymouth, England, occupied Herbert L. Pratt from 17 October to 11 December 1918. 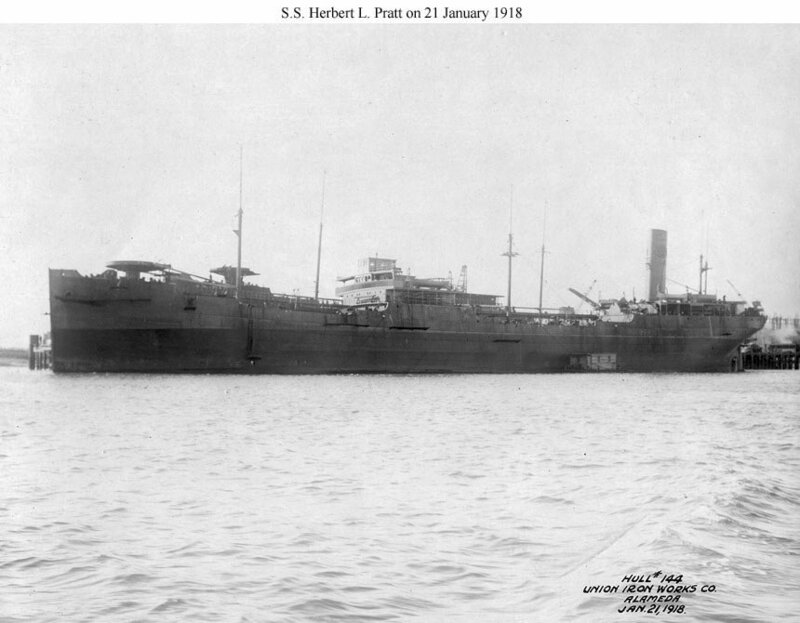 The tanker decommissioned at New York 18 January 1919 and was returned to her former owner.